Ensure that 'Do Protocol Analysis' checkbox is not selected. The 'Firewall Ruleset' interface will open for creating a new set of rules. Enter a descriptive name for the new ruleset to be created in the 'Description' text box (for example: For allowing Shareaza/Emule). Now you need to create six rules for the newly created ruleset. To do so, click 'Add'. The 'Firewall Rule' interface will appear. For creating each rule, select the check box and choose the drop-down options under each tab as given below. After creating each rule, click 'OK' for the rule to be added. 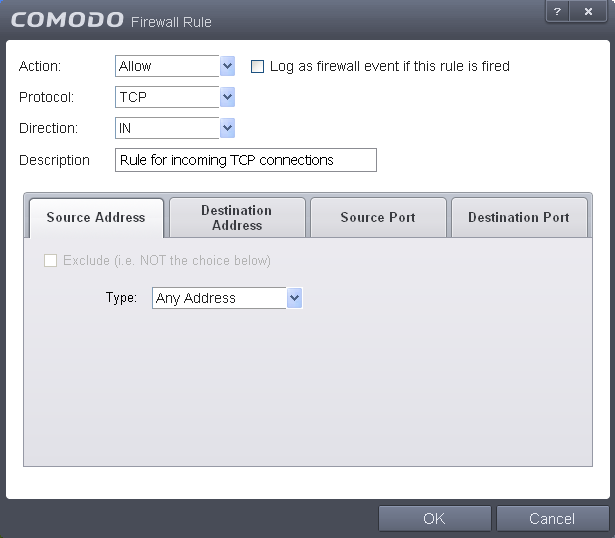 Click handle in the 'Firewall Ruleset' interface and choose 'Add' to create the next rule. Click 'OK' in the 'Firewall Ruleset' interface. The new ruleset will be created and added as a Predefined ruleset. Start Shareaza or Emule. When Comodo raises a pop-up alert, choose 'Treat this application as', select the descriptive name you gave for this rule (e.g. 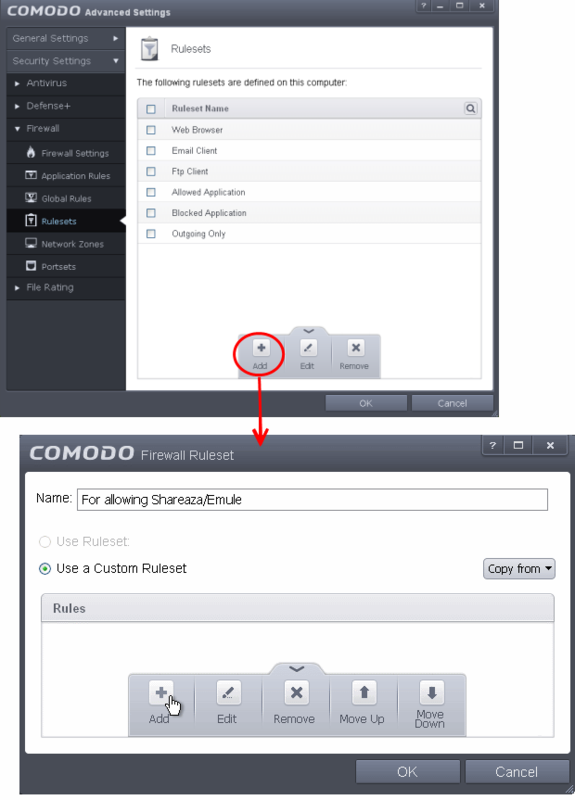 For allowing Shareaza/Emule) from the options and select 'Remember my answer'. Enter a descriptive name for the new ruleset to be created in the 'Description' text box (for example: For allowing BitTorrent/Utorrent). The new ruleset will be created and added as a Predefined Firewall ruleset. Start BitTorrent or Utorrent. 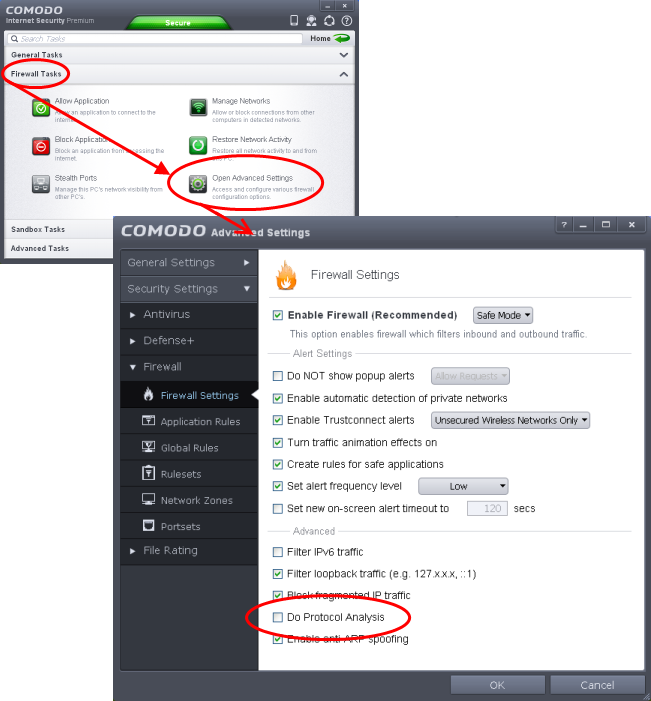 When Comodo raises a pop-up alert, choose 'Treat this application as', select the descriptive name you gave for this rule (e.g. For allowing BitTorrent/Utorrent) from the options and select 'Remember my answer'.